Hey guys! WOW, a week from today we will be celebrating 4th of July. We are actually going to be in New Orleans. This will be our first visit there, and my family and I are super excited. I am sure we will have a blast of a time. I can’t wait to visit, enjoy the culture, the color and all the delicious cuisine. 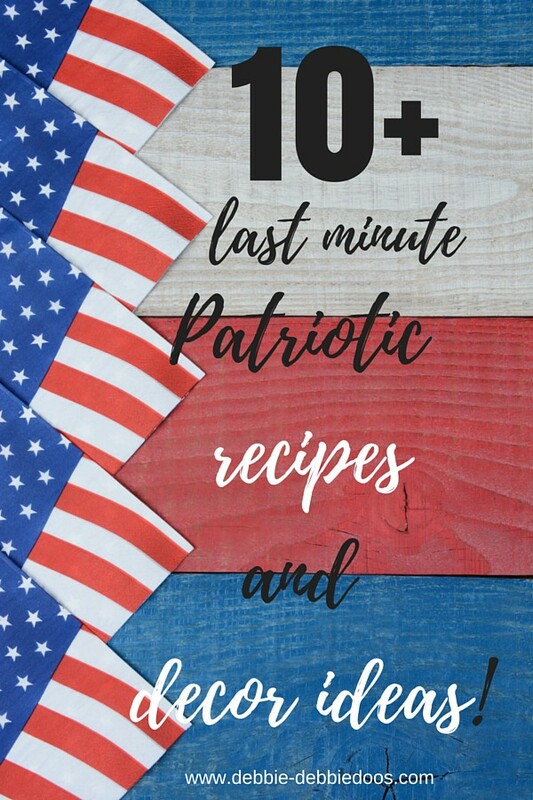 Today, I am sharing some last minute patriotic decor and recipe ideas. Lots of us attend parties, or perhaps are the host of a party. These ideas are all simple and something you can do a little different this year. If you are new here, welcome! I would love to see you back again. PLEASE scroll all the way down to see Patriotic thumbnail list. Enjoy New Orleans and thanks for the patriotic ideas! Have a blast and eat lots a great food. You can diet afterwards! Thanks Kris! That’s my plan.